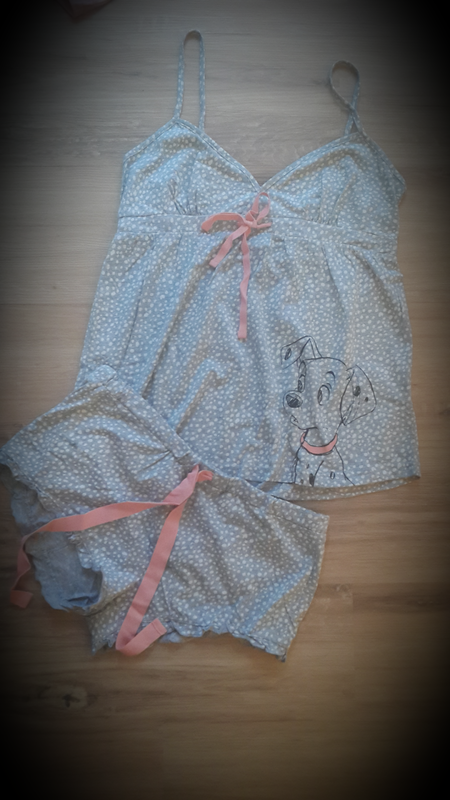 Blissfully Perfect: Women'Secret Pyjamas fit for nursing wear! Why do maternity shops / sites either sell nursing pyjamas that are ugly, OR they are pretty but burns the wallet? Even when it is my luckiest day and I do find one that is pretty AND cheap, they have pants so long I no more need the mop. My quest to lookout for wearable pretty nursing wear was fulfilled last week. I was practically skipping into the shop when I walked past Women'secret and saw that they were having a store-wide sale at 70-80% off. Okay, I was a bit sad because it was actually a closing down sale, they were closing all Women's Secret in South Africa. But hey, I was lucky enough to pop in as they just started their sale, hence all the small sizes are still available. They haven't even change their price tags for some yet, so a lot of nice ones were still there. I chose only pyjamas with buttons in front, hoping that it would be easier for nursing purposes. I have always known that I want to breastfeed my baby. Yes, I know it might be a difficult journey, and experienced mums are probably muttering under their breaths by now after reading this. "You do not know what you are in for!". Back to the topic of nursing wear. I didn't used to be a pyjamas person, I sleep with over sized T-shirts (usually hubby's) and long pants / shorts depending on weather. However, the older I get, the more I love my pyjamas. I like the fact that they are usually made of comfy material., my size and I feel happy when I wear pretty clean clothes to sleep. However, none of my pyjamas has buttons in front, which means none of them makes my boobies easily accessible to baby. 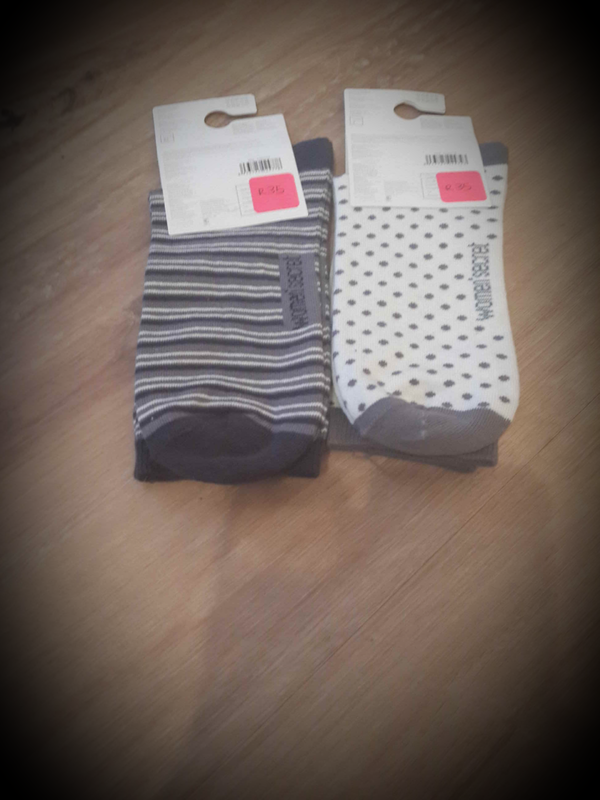 And then I couldn't resist the socks as well for ZAR35 each !